Play Dinosaur games that are for kids and pre-schoolers. We have Dinosaur activities, Dinosaur coloring books, dinosaur pictures, clipart and Dinosaur puzzles. Play our new iPad and Android games too. Dino Princess Jump and jump up To save her! Tappy Dino Tap and flap your way to prizes! Dinosaur Monster Truck Drive T-Rex over the jumps. Dino Escape! Help Dino Escape. Super Mario Dino Help Mario defeat the Dinosaurs. Jump over the water and collect coins! Rescue your Dino girl friend. Jump and run. Jump forever, power ups and prizes! Throw some eggs at the dinosaurs. to print out and color. jump and smash the rocks. Jump over dinosaurs and collect prizes. Flying dinosaurs flap and collect prizes. 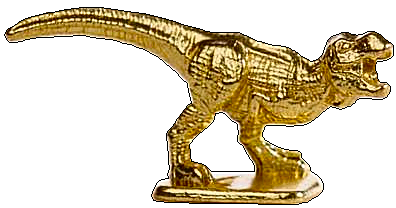 We also have dinosaur pictures, a picture of the new T Rex Monopoly Dinosaur, comics and cartoons that you can download and print out and if you're a dinosaur artist, we have dinosaur pictures for you to color online or offline. Most of our games are quick and easy casual games that don't take a lot of time to play. Drive a tractor and jump on prizes. find treasures in this dinosaur game. Allosaurus bump and jump game. Fun driving game drive fast! fun question and answer game. Push rocks to trap the dinos. Me and My Dinosaur Great kids game! Who is the fattest dinosaur? Match 3 for high scores. clear all eggs to complete level. We have some of our older and more simple Dinosaur games here. We make dinosaurs game to entertain kids of all ages. We have running games, jumping games, flying games, puzzle games and stick games that are all dinosaur themed. Explore the amazing world of Tappy Bird Dinosaur game, AKA: Tappy Dino. It is an online game for young children. The game is a side-scroller, where the player controls a dinosaur, trying to fly through layers of wood, by frequent tapping and involuntary shooting of missiles, cannons and also power ups. The game has no levels, it is based on high score. So sit back and enjoy the world of Tappy Dino!!! Monster truck Rider is an online game for kids. It is a 2D game, where the player controls a robotic-wheel-possessing dinosaur and tries to move it to the end of each level, successfully passing every obstacle. The Dinosaur is controlled, using a keyboard control or a touchscreen control. The game is based on level, and number of coins collected while driving. So fasten your seatbelts, it is going to be a bumpy ride!! !